For the modesty-inclined there is an attractive option that will satisfy both your need for concealment and aesthetic sensibilities. 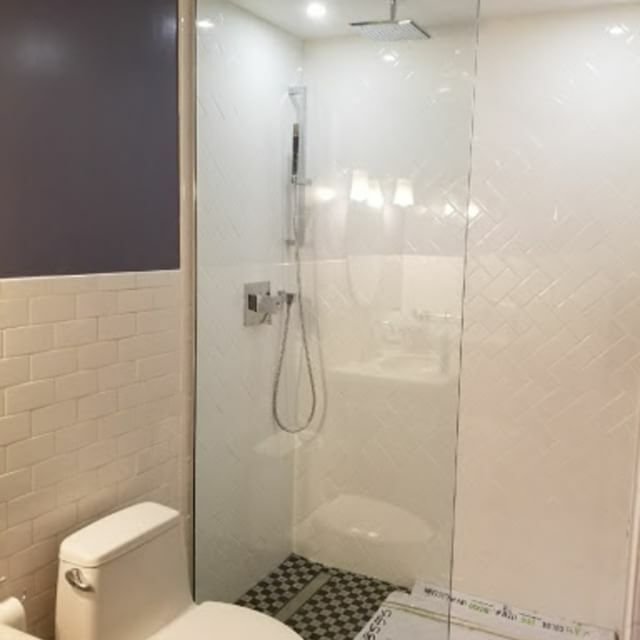 A growing number of customers are choosing to have a privacy strip sandblasted into their glass shower enclosure, which is simply a swath of etching that covers the middle third of the glass as seen on the photo to the left. 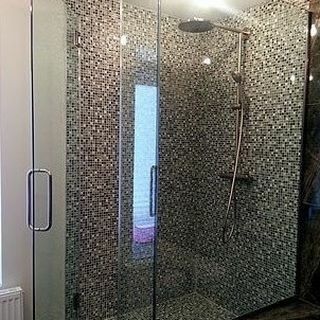 This is a very appealing solution for those that want the obscuring effect offered by pattern glass, but want to keep the sense of openness that attracts most people to frameless showers in the first place. It also covers bather’s nasty bits without sacrificing a more pleasant view of the beautiful tilework behind the glass enclosure. The coolest aspect of the privacy strip is the designer edge it offers your shower. This embellishment to your custom glass enclosure complements a range of styles– it can feel industrial or contemporary depending on the surrounding elements. Given this, even the less self-conscious homeowner may consider adding this feature to up the designer vibe in their bathroom space.